Warning: I'm getting ready to do that thing that proud parents and grandparents do. I'm getting ready to bombard you with cute pictures of my kids. After a while you'll probably be like, "yeah, yeah..." but then I'll keep going because that's my nature. You have been warned. 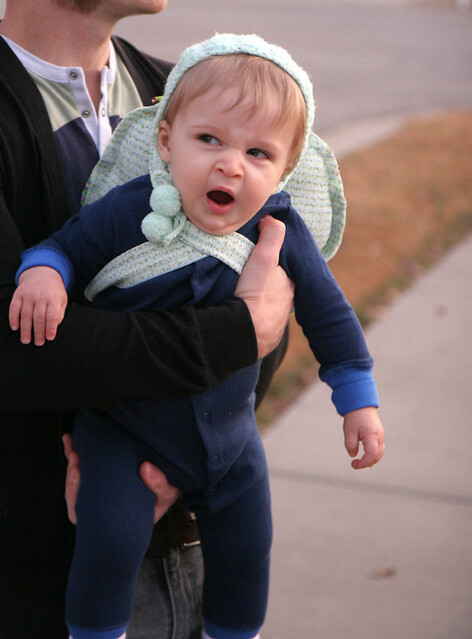 We had an old costume from Hope's first Halloween for Poesy, but we tried it on her and it almost swallowed her whole. She's kind of a little thing. 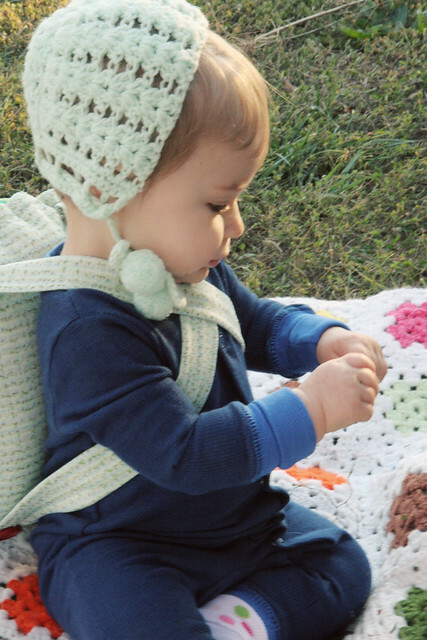 So, the night before Halloween I made Poesy a little turtle shell with straps. We put a crocheted cap on her little head and called it good. Or turtle. Yes, we actually called it turtle. She was a really good sport through the whole night. She hung out and enjoyed watching all of the kids dressed up and running around. You saw a peek of Hope's costume already last week. I spent hours putting sequins on that dress... and before you think I'm the greatest mom in the world, I should tell you it was sequin trim. I DID NOT sew on every, single sequin. That would take more time than I have. 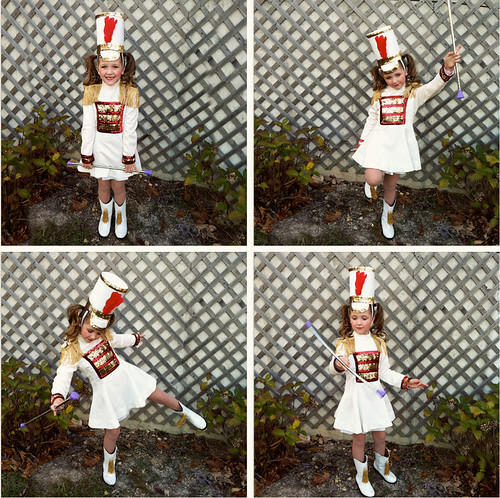 The boots and dress were from eBay and I made the hat out of a cereal box, white felt, feathers, and sequin trim. I was pretty proud of myself when I finished that hat. It turned out better than I expected, and how often does that really happen? It was a fun night and all of the old people just GUSHED about Hope's costume. This is the first year everyone knew who she was, and she ate that attention right up! I hope your Halloween was great! If you have a Halloween post up, leave me a link in the comments. I LOVE looking at everyone's costumes! oh Katie!!! SO wonderful. And the little turtle. Too much! Please, gush all you want! I love it!! Your girls look so precious! I love the turtle idea, that's so freaking adorable. I hope you guys had a great time! oh my, you are the best mom! Your girls look sooooo adorable and how fortunate of them to have such love from their mom! P.S: You should have a tutorial on how you made the hat from the cereal box! It'd be so cool! Your girls are the absolute cutest, ohmygoodness. I'm pretty sure Hope had the greatest costume ever! Those are the cutest costumes ever! Hope looked very excited! Your girls are too cute! They are soo lucky to have a creative mum like u! I really like Poesy's turtle outfit! Oh yes, we had a Halloween party! Pics on my blog. Hope's costume is AMAZING but oh my, the turtle? Bang goes my heart! They both look so cute! 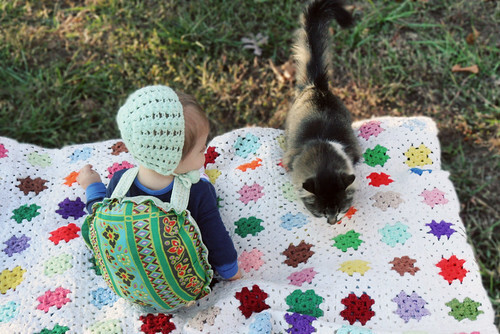 your girls are so lucky to have such a crafty mama....but where do you find the time? do you ever sleep?? Both costumes (and kids) are adorable, but THAT TURTLE! So cute. i thought poesy was a pin cushion! too cute. Both costumes are adorable. I don't blame you on using the sequin trim (although it's quite a pain too :) I want to do more homemade costumes next year. I just have to learn to plan better! I must say, the little turtle costume is beyond adorable! Good job, Mama! oh poesy is so adorable, that last picture! Perfect costumes I must say :)Did you dress up as well? aw i love their costumes! 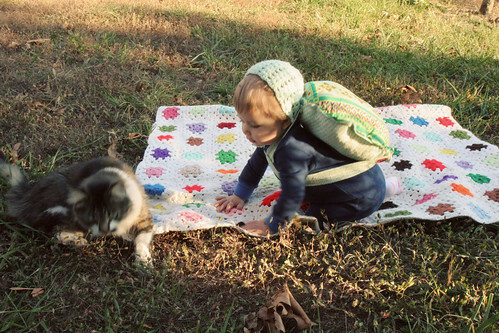 hope looks fabulous and poesy is the cutest thing ever! ohmygod hope is the cutest thing in the world!!! Fantastic costumes, adorable and gorgeous! 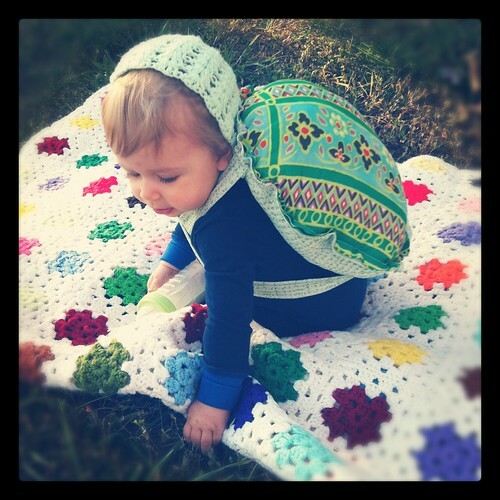 That turtle shell is super stinking cute! I dressed as Lucille Ball this year!! 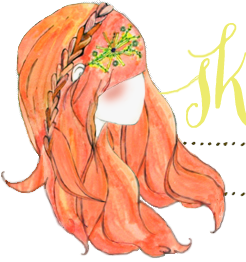 It worked perfect with my copper hair..You should check it out!! love! 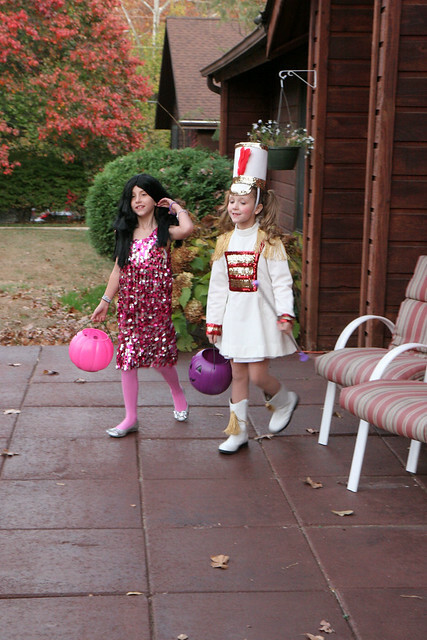 your girls are my kind of halloween gals! and you are most definitely my kind of mama! the costumes are the best! oh my goodness!!! SO cute!! Wow Hope's costume turned out amazing!! SO cute! Oh, and it pretty much goes with out saying that a little baby turtle is equally as cute! Wow....both costumes are fabulous. 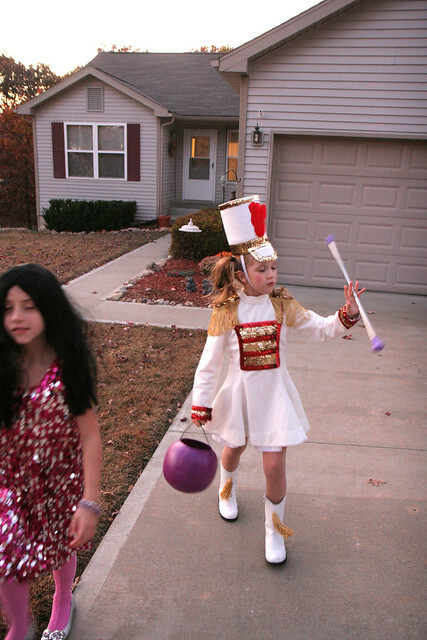 Is it just me or is there a resurrgence of homemade costumes this year? Either way....I LOVE IT!!!!! ahhhhh the baby turtle is such a cute idea! love it! They both look so stinking cute! I can't believe you made Hope's costume. It looks SO fantastic! I hope she plans to just wear it around town. It's too terrific to wear only once. <-- hands over all the candy, and is died from the cute. great job! When I have kids, I'm just going to send them to you every morning to get styled. Your girls are always sweetly dressed and smiling. Happy Halloween!! I love how much fun Hope is having with her baton! Both costumes are so cute and so well done. You really can't beat handmade costumes, especially for kids. My mom used to make all of ours growing up, so much more room for imagination! I already said this on instagram... but, LOVE those costumes. So fun. omgosh her costume kills me, absolutely amazing!!!! and poesy's is adorable too!! Im dying over Pos costume like dead! So great. And Hopes is amazing too. I cant believe the hat is made from a cereal box thats awesome! and this is what we wore to an adult party! you can show as many photos of your darling daughters as much as you want. excellent costumes you created katie. they look outstanding! here are my blog posts on costumes. 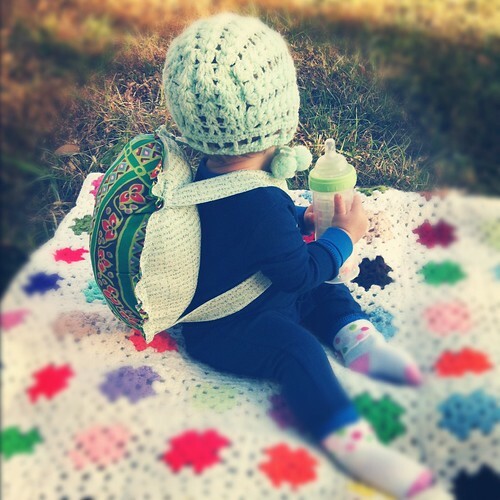 a turtle costume on a crawling baby is brilliant. loved looking at all of the photos! Here are hubs and I as Mary Poppins and Bert! Happy Halloween! Hope seriously has the best costume I have ever seen in my life! check out me and my baby on halloween! we're zombeeeee's! Just posted our Halloween, which included a RAGDOLL wig made from YOUR TUTORIAL! Thanks for the inspiration miss! This post made me so incredibly happy. Your girls are such little dolls. 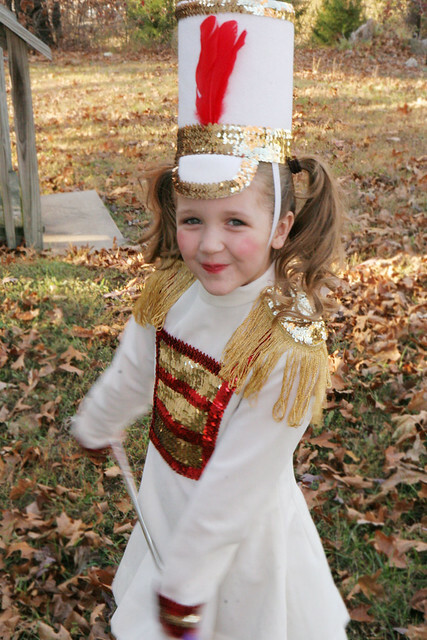 The Majorette costume is AMAZING. By "Cereal Box" - did you mean a rounded one? Well done! Mine was mostly makeup this year (3 costumes!) - and some friends - there's me, the cheshire cat, Maleficent, Mr.T, a Zombie (me again), and Mrs. Frankenstein (me as well). hope's costume is so perfect! and you can tell she is loving it from the pictures. that hat! i would love to wear that costume myself. i went as a witch, it was kind of last minute but it turned out pretty cute. I love turtle baby :) So sweet !!! You are the best Mom ever - both of their costumes are so adorable. 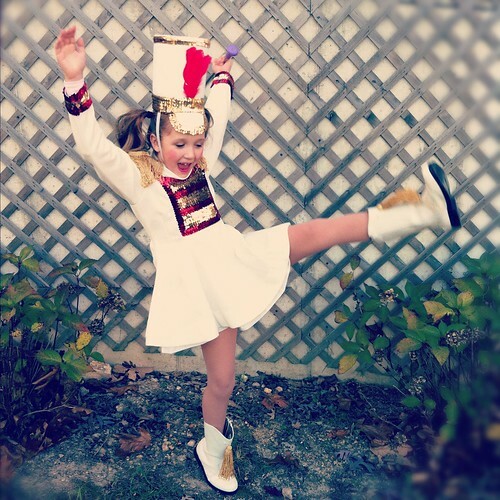 Hope is one rockin' majorette! you seriously did an amazing job!! love the costumes, especially hopes! i am blown away, katie! like, seriously.. can you be MY mom?? I love this costume! So so cute! I hope to be one of those moms who can make my kids Halloween costumes every year and we will both still enjoy the process. Ha! Here is my daughters from this year, one of my favorite things I've ever made. AWWWWWWW! How cute! The turtle is adorable Katie.